What to Eat When (2018) shows how it’s not just what you eat, but when you eat that matters. 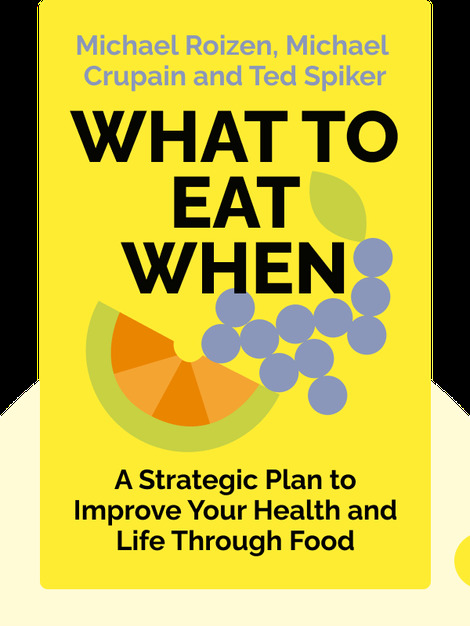 This practical and fun guide dives deep into the science of eating to show you how you can enhance your health, energy and intellect through healthier eating habits. It provides a blueprint for eating right, all the time. 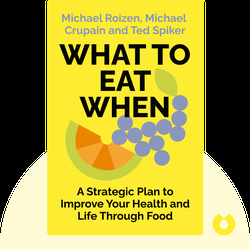 Michael Roizen is a physician, a five-time New York Times best-selling author and a renowned advocate for healthier eating and exercise. Michael Crupain is a physician specializing in preventative medicine and the medical director of the popular TV show Dr. Oz. Ted Spiker is a professor of communications at the University of Florida and a writer on personal health and fitness for publications including Time.Com and The Oprah Magazine.